This exhibition presents three “Living Fossils” which are living largely unnoticed in the coastal environments of Hong Kong. These are the horseshoe crabs, the small eel-like Amphioxus also known as Lancelet and the primitive brachiopod Lingula, organisms that have remained largely unchanged in their structure and function since their ancestors were fossilized ca. 475 million years ago. May 19/20, June 9/10, July 7/8, August 11/12, September 8/9, October 6/7 and November 3/4, 2018. Free guided tours during the special weekend openings will be arranged at 2p.m. Free of charge. No registration required. Weekend opening with guided tours on May 12/13! At 2-3pm on both days. Free admission! HK SciFest 2018 from March 17 – April 22! from 10am to 6pm additional to our regular opening hours. of our dynamic Earth System. 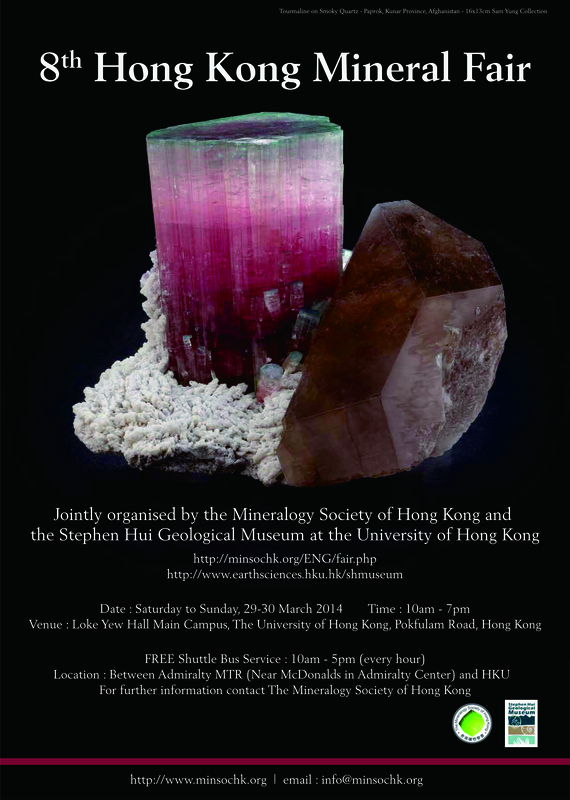 The Stephen Hui Geological Museum of the University of Hong Kong (HKU) in collaboration with The Mineralogy Society of Hong Kong present the special exhibition "Mineral Collections in Hong Kong" from 3 March to 31 August 2017 at the Stephen Hui Geological Museum. 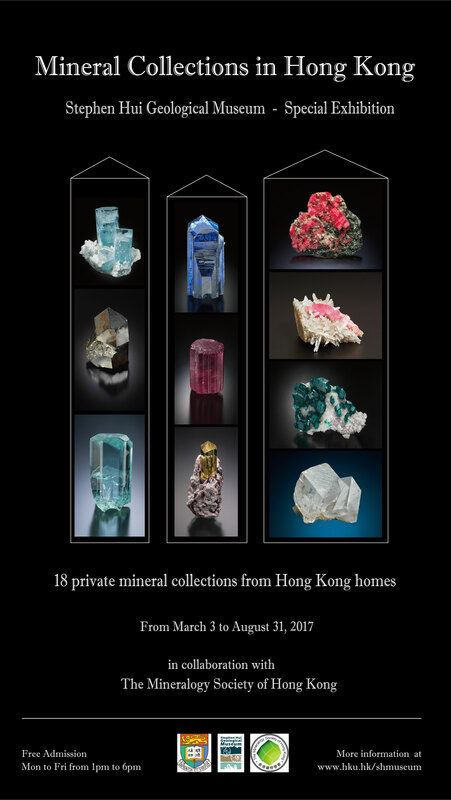 For the first time in Hong Kong, private mineral collectors present their collections together to the public to celebrate the beauty of the natural world and to introduce the fascinating hobby of mineral collecting. The public will have a chance to see over 200 precious minerals collected by local collectors in the largest exhibition of its kind in the territory. This exhibition showcases over 200 precious minerals from 18 collectors from Hong Kong homes. Highlights are the infinite variety of minerals on display including one of the best gemmy single crystals of Tanzanite from Merelani Mine, a very rare large gem quality Aquamarine on Albite with large fluid inclusions from Balochi, Gilgit-Baltistan, Pakistan and a 18 cm large gemmy Rhodochrosite on Quartz from the famous Sweet Home Mine in Colorado, U.S.A.. The mineral display cabinet of the late Dr Stephen Hui Sze-fun with a selection from his private collection is also included. 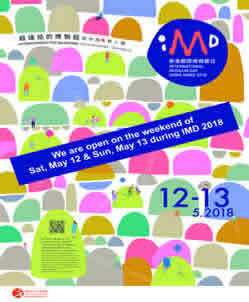 The Stephen Hui Geological Museum is open to the public on the Hong Kong International Museum Day (IMD) 2017 weekend on Sat and Sun, May 13 and 14 from 10am to 6pm. Welcome to join our free museum guided tour at 2pm on each day! Free guided tours at 2pm each day! Held from September 26 to November 18, 2016 to coincide with the Climate Change Summit in Nantes, France (26-27 September 2016) and the upcoming United Nations Climate Change Conference COP22 in Marrakesh, Morocco (7-18 November 2016). The exhibition is a collaboration between the Stephen Hui Geological Museum and the Consulate General of France in Hong Kong and Macau and part of a series of events during the “France – Hong Kong Month of Environment” from September 20 to October 20, 2016. Climate Change is a pressing and central issue in our conversations of our time as we seem to witness many changes in the environment such as the melting of artic sea ice and sea level changes. Our generation today faces the double challenge to be the first generation that is starting to witness and feel the impacts of climate change, and yet, may be the last one that can mitigate and fix it. This “Climate 360°“exhibition helps to raise public awareness of climate change issues. This exhibition adds valuable information to the existing permanent exhibition on Cenozoic Climate Change of the Stephen Hui Geological Museum. 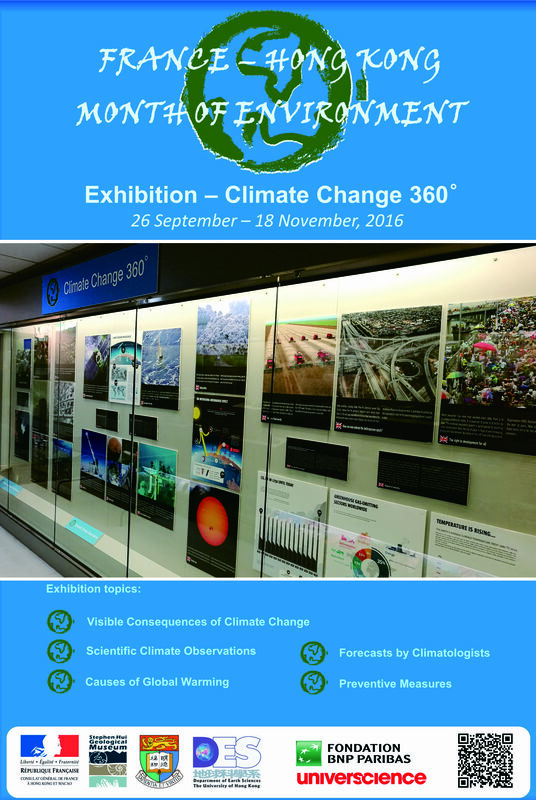 Together the two displays complement each other to allow a better understanding on the Earth’s climate system through latest observations and scientific research on Climate Change in the geological past, at present and in the future. Last Chance to view our special exhibition “Snapshots of a Vanished Environment” at the Mineral, Gem & Fossil Expo in the Exhibition and Conventions Centre in Wanchai from June 23 to 26 in the Convention Hall at our Booth CH E/11. Come and visit us there! 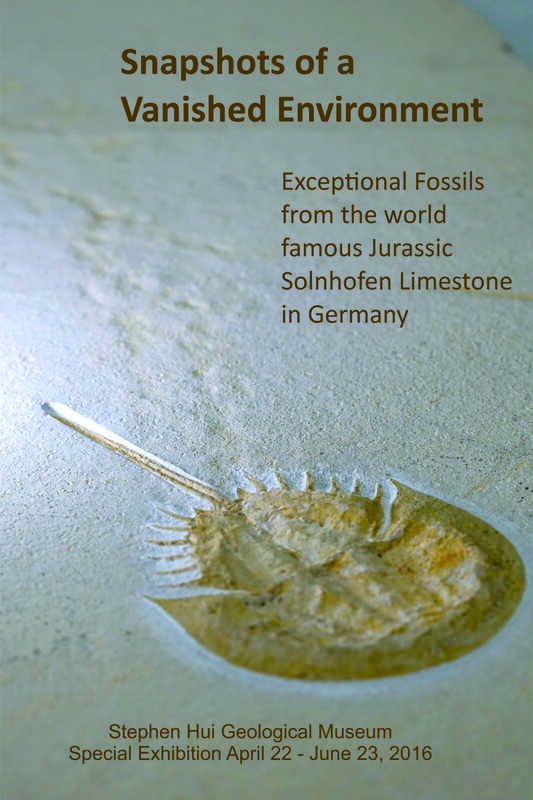 This exhibition presents 11 rare and exceptionally preserved fossil animals from the Jurassic Solnhofen Limestone in Germany, some up to 90 cm in diameter. It gives a glimpse into the environmental challenges these organisms faced 150 million years ago preserved in limestones of the world’s most famous fossil Lagerstaette. The displayed fossils are ancestors of today’s fishes, shrimp, crabs, squid and lobster (Yu Ha Hai) -- all organisms people can relate to as the modern forms of these prehistoric animals are today part of our daily lifestyles. The exhibition reminds us about the new environmental challenges the modern descendants of these ancient ancestors face in today’s world where their survival is now threatened by human activities after millions of years of successful adaptation to natural environmental changes. 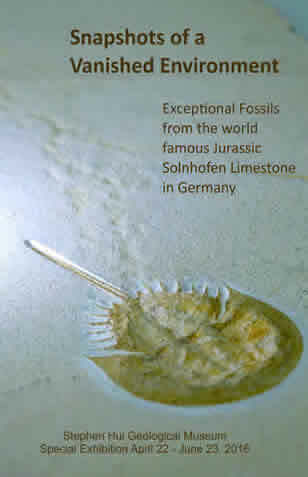 We acknowledge Dr. Martin Goerlich who kindly provided the fossils for this special exhibition. April 23, 30, May 7 (Saturdays), from 11a.m. to 6p.m. May 14 (Saturday) and May 15 (Sunday) (International Museum Day weekend), from 11a.m. to 6p.m. Free guided tours will be arranged at 2p.m.during the weekends. Free of charge. No registration required. The quality of life we enjoy today is dependent on the availability of natural resources formed, cycled and renewed by geological processes throughout the Earth's history. 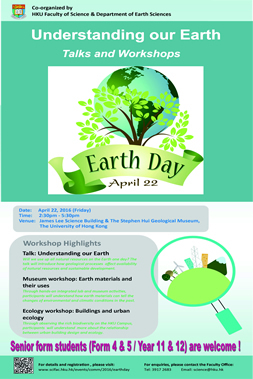 Our EARTH DAY 2016 museum activities will observe fundamental concepts on how such processes work leading to an understanding of a need for a sustainable future. Visit us on June 27-30, 2015 at the Mineral & Gem Asia at the AsiaWorld Expo in Booth 6F10 in Hall 6. Our display will give you a first glimpse of our new acquisitions of mammal fossils from China as well as rarely preserved Hong Kong fossils generously donated to us by two enthusiastic local fossil collectors. The fossils will be on public display for the very first time! Do not miss it! We participate in the Hong Kong Science Festival 2015! During the Festival Period from February 2 to April 15, 2015 and additional to our regular opening hours we open to public every Saturday from 10am to 6pm! We offer a weekly guided museum tour with some activities for individuals and families each Saturday from 2-3pm. Pre-registration is recommended. Come and discover the Science that explores our Planet Earth! Growing demands on resources across the globe and a probable rush for development may lead to deterioration of the Antarctic landscape and depletion of its natural resources. This fragile global common, amid potential environmental threats, can only be safeguarded through better understanding the true value of its natural resources. We are pleased to present this special exhibition curated by two alumni of the HKU Department of Earth Sciences, Mr. Jackie Chu and Dr. Stephen Ng, Including many fascinating photographs, this exhibition reflects experiences and insights gained during Jackie’s visit to the Antarctic as a Hong Kong representative for the International Antarctic Expedition 2014 and will be on display on the museum’s 1st floor until January 21, 2015. 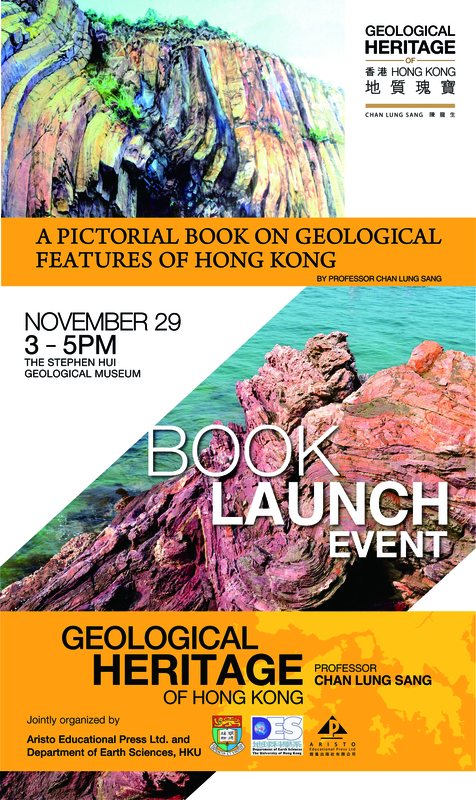 The Stephen Hui Geological Museum is hosting a book launch event featuring the publication of a new book by Prof. LS Chan titled "Geological Heritage of Hong Kong", a pictorial book on geological features of Hong Kong. We are open to the public on Saturday, NOV. 8, 2014 !!! 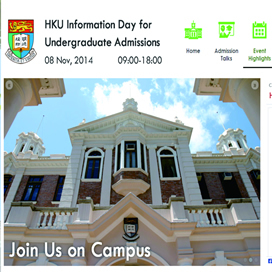 Join us on HKU Campus! The IMD 2014 theme “Museum Collections Make Connections” reminds us that a museum is an institution that preserves and communicates the past, while remaining grounded in the present. Our museum preserves records of Planet Earth’s past environments going back 4.5 billion years. Come and find out how Earth Scientists interpret how and where ancient rocks, minerals and fossils were formed in prehistoric time with comparing them to present-day Earth environments and processes and win a precious little souvenir! Visit our museum on IMD to enjoy free programmes! Visitors may redeem stamps for a special edition of the IMD Yo Yo Memo Pad! Visit 4 different museums over 2 days (17 & 18 May) and collect your stamps to redeem the IMD souvenir immediately! Please collect Guide Map from participating units for details. The redemption period lasts until 31 May on a first-come, first-served basis at all museums while supplies last! 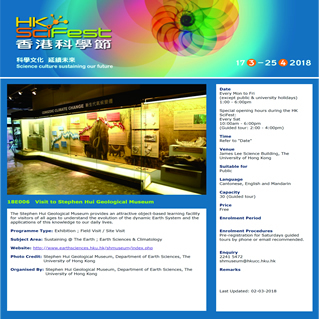 For more information of IMD 2014 activities in Hong Kong organised by all Leisure and Cultural Services Department museums and other participating venues, please visit www.lcsd.gov.hk/imd2014. A meeting place for mineral collectors, enthusiasts and newcomers to the world of minerals and fossils; there will be talks and guided museum tours. The Cocktail Party marks the 8th Hong Kong Mineral Fair and closing of the Special Exhibition “Mineral Treasures of China”. Museum tours and workshops are held at the Stephen Hui Geological Museum with identical sessions on both days. The following talks are held in room MB103 across from Loke Yew Hall. The museum presents its first special temporary exhibition titled “Mineral Treasures of China” in collaboration with Dr. Guanghua Liu. This exhibition presents over 60 of the finest mineral specimens found in China during the last 30 years and are classic representatives from typical mines/mining areas from 12 different provinces in China. with guided tours at 11:30am and 4pm on the above Sat and Sun for a maximum of 30 persons on a first-come-first-served basis. The exhibition is open to public. Free Admission. Minerals are fundamental natural building blocks of earth materials and such the ingredients to almost all of the products we use in our daily lives. Individual minerals are characterized by their unique combinations of chemical elements and the arrangement of their atoms. Earth is a vast chemical laboratory with a large range of environments with variable temperatures and pressures that act on the atoms of various elements to create more than 4000 minerals we know today. Throughout the 4.5 billion years of Earth history complex geological processes formed an accumulation of specific elements in only a few special locations in our Earth crust creating important non-renewable resources such as metal ores, oil and coal which we mine excessively to sustain our modern lifestyle we enjoy today. Under even more rare and special conditions the same processes have generated the most beautiful and diverse of mineral treasures. The exquisite specimens on display shall remind us, and in particular our younger generation, to appreciate the natural world of minerals and not just to take our mineral world for granted but to respect their limited and special value in our daily lives. Although mining activities in China already took place since 3000 years ago and Chinese mining industry is one of the most dynamic sectors in the world today, mineral collecting and appreciation never became a tradition in China as it did in Europe and the United States. As a result, with few exceptions, all exquisite crystals and mineral specimens found in the course of mining were consigned to the refining mills or the waste dumps. It was with China’s opening in the early 1980s, and the arrival of Western visitors, including geologists, mineralogists and mineral collectors, that Chinese gradually changed their attitudes towards mineral-specimen collecting. Beautiful red Cinnabar and Realgar crystals and large, shinning Stibnite clusters from mines in Hunan Province were the first groups of Chinese minerals to find their ways into the markets of the Western countries. During the blooming of the mining industry in China between 1990s and early 2000s thousands of small, hand-operated mines opened and resulted in a flood of specimens onto the international market, where world’s best crystals were introduced from China such as gemmy Scheelite and Cassiterite from Sichuan, colourful Flourite and Calcite varieties from Hunan as well as shinning Mimetite from Guangdong and Pyromorphite from Guanxi appeared. While such specimens already have amazed collectors worldwide for centuries, they have stimulated an increasing interest within China itself only in recent years. The exquisite samples of the “Mineral Treasure of China” exhibition are kindly provided by Dr. Guanghua Liu, an internationally renowned enthusiast in collecting and preserving Chinese minerals. Dr. Guanghua Liu was born in Hunan Province, China, where he graduated from the Jiaozuo Mining College, and later gained a Master's degree in Coal Geology and Sedimentology from the China University of Geosciences. He now lives in Germany, and is the proprietor of AAA Minerals International (AG) in Tübingen, Germany and Zug, Switzerland. He has served on the scientific staff of Tübingen University in Germany, and he is a guest professor at the Chinese University of Mining and Technology, and the Chinese University of Geosciences in Beijing. He is the author of the book of “Fine Minerals of China" (2006). In 2011 he completed the establishment of the “Guanghua International Mineral and Fossil Museum” at the Wuxi Science Museum and View Stone Park where his extensive personal collection of minerals is on permanent display. He is currently working on the development of exhibition galleries devoted to minerals and fossils with the Shaanxi Nature Museum in Xi’an, Shaanxi Province. The Opening Ceremony will mark an official opening of a series of programmes of the Mineral Festival. We are honoured to have Madame Anna Hui and HKU Vice-Chancellor Professor Lap-Chee Tsui as our Guests of Honour. 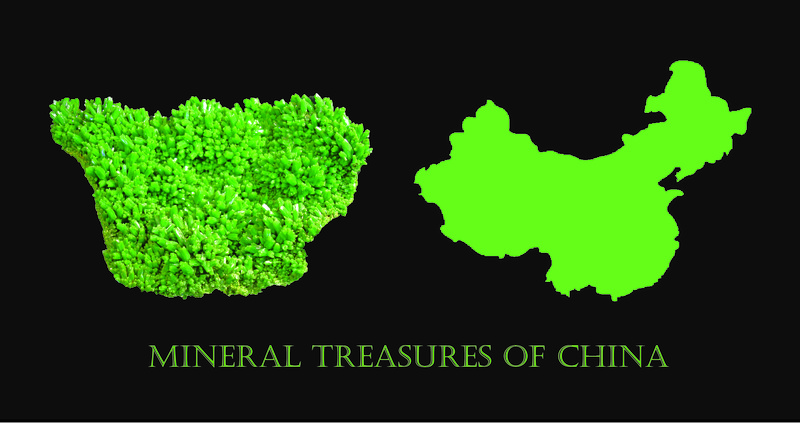 Although China has abundant mineral resources with a long mining history, mineral collecting has not been a tradition in China for long. Only recently beautiful mineral specimens from China have been emerging on the international mineral collector’s market. Over 50 world-class mineral specimens are on display from the private collection of Dr. Guanghua Liu representing the most spectacular mineral specimen finds in China in the last 30 years. Get a glimpse into the world of china minerals such as the remarkable fluorite varieties from Hunan and Scheelite associations from Sichuan as well as Hemimorphite and Mimetite specimens from Yunnan. Visitors may view this exhibition individually at any time during the fair or may join a short guided museum tour offered to public at 1:00-1:30pm and 4:00-4:30pm on April 27 and 28, 2013. Admission is free. There will be minerals, fossils, books and equipment for sale, beautiful minerals just to look at, a mineral identification game and a display of specimens belonging to society members. by Mr. Dominic Mok Wai-kei, Founder and Principal of the Asian Gemmological Institute & Laboratory Limited (AGIL). Workshops on Fluorescent Minerals and Minerals under the Microscope are held by students from the Department of Earth Sciences and the Society of Earth Sciences, DES, HKU. Quota 50. Bring your own drinks. 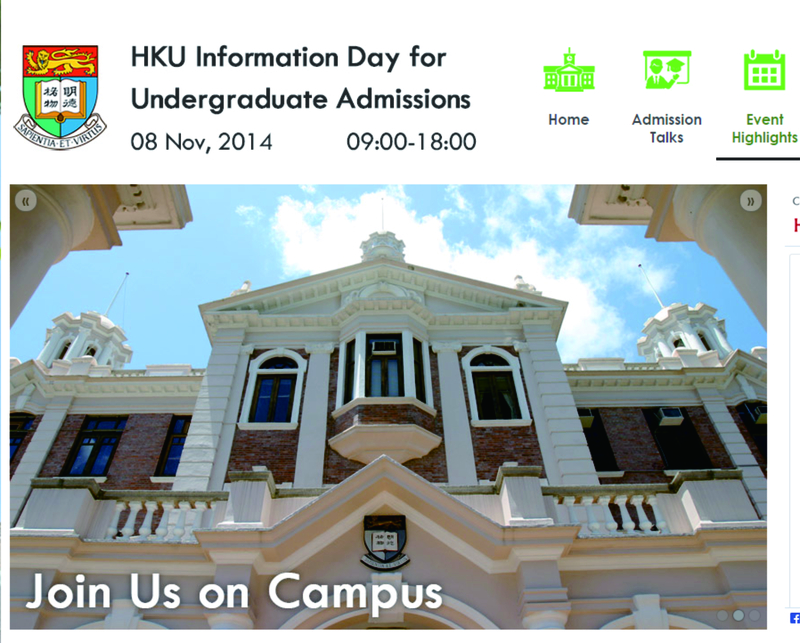 Our Museum is open to the public on a Saturday during the HKU Information Day for Undergraduate Admission 2012. Throughout the 4.5 billion year Earth’s history our planet was and still is in a constant state of change. Come and discover such changes and how our planet responded to them resulting in the natural environment we live in today and win a precious little souvenir! 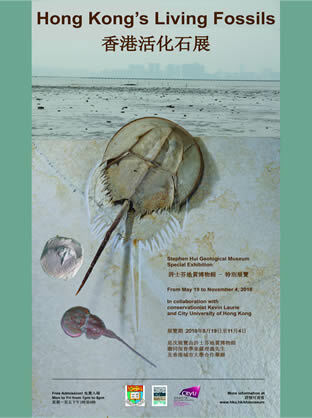 For more information of the IMD2012 Hong Kong event and the participating museums visit the website at http://www.lcsd.gov.hk/imd2012. 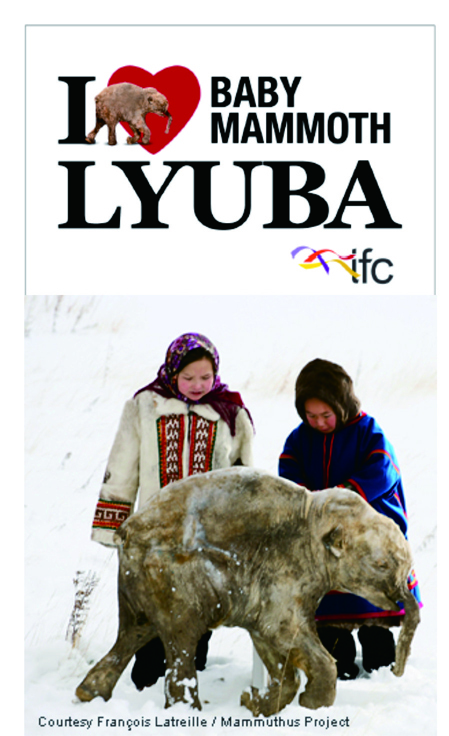 ifc mall and the Stephen Hui Geological Museum collaborate in offering a series of guided tours from April 16 to April 29 to introduce the Ice Age world of the world's most well-preserved baby mammoth, Lyuba. Please refer to the "I Love Lyuba" webpage at http://ifc.com.hk/lyuba/ for details. ALL School Tours are FULL. 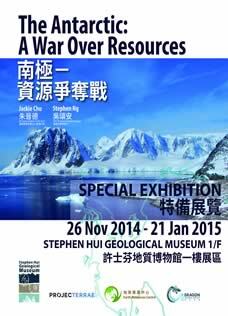 Thank you all for your continuous support that made the first 3 years of the Stephen Hui Geological Museum a success! To celebrate our 3rd birthday on January 16, every visitor to our museum on our birthday will receive a little souvenir. Happy Birthday Stephen Hui Geological Museum! Fluorescent Mineral Collection in the dark. 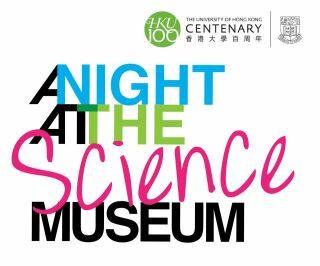 is jointly organized by The University of Hong Kong, Hong Kong Science Museum and IBM China/Hong Kong with an aim to encourage a spirit of exploration in science and engineering among students. Come and visit us on a Weekend! FREE ADMISSION on a first come, first serve basis. Repositories of knowledge, museums store memories and tell stories through objects and artifacts that are expressions of our natural and cultural heritage. Come and discover objects of our natural world which tell us the story of the 4.5 billion years long evolution of our planet! During this event we provide opportunities to our visitors to get close-up with a range of fossils, minerals and rocks. We are usually open on weekdays only! This event gives you, your family and friends the opportunity to visit us and take part in our activities on a weekend outside our regular opening hours. With the support of HKU Knowledge Exchange Funding the Stephen Hui Geological Museum launched its new bilingual web site. It is designed to showcase our display collection as online exhibits in a new "Virtual Museum Visit" component to which we will add on in future as the display collection evolves. We aim to create a resource that meets the needs for all our visitors, including those planning and returning from museum visits. An online community link to our new facebook page will give visitors an opportunity to communicate with us and express opinions and wishes. "Evening at the Stephen Hui Geological Museum"
Place: The Stephen Hui Geological Museum AV Theatre, James Lee Science Building, University of Hong Kong followed by a friendly gathering in the museum with a serving of some beverages. The museum will be open until 9:30pm. Jolyon Ralph was born a few days before the first successful demonstration of the internet, back in October 1969. After studying Geology at Imperial College, London, he took a computing support job in BP (British Petroleum). Following from this Jolyon worked as a programmer, consultant, software publisher, computer forensics expert witness, computer journalist and lecturer. In recent years Jolyon worked for Top Hat Computing Ltd, a Croydon-based Microsoft consultancy, as senior consultant. During his time at Top Hat Computing Jolyon provided consultancy for major companies - most notably BBC News where Jolyon spent much of his assisting with Windows NT and specialist newsroom software issues. Jolyon gave up his position on the board of Top Hat Computing when he left the company. Jolyon formed Mysterious Ways in late 1999 to develop his Internet ideas - the company has rapidly expanded since then and Jolyon has continued to operate both as managing director and to continue technical services such as programming and consultancy work for our clients. In his spare time Jolyon is an active mineral collector, and has developed and operated the non-profit website www.mindat.org, which is the largest mineralogy resource available on the internet. 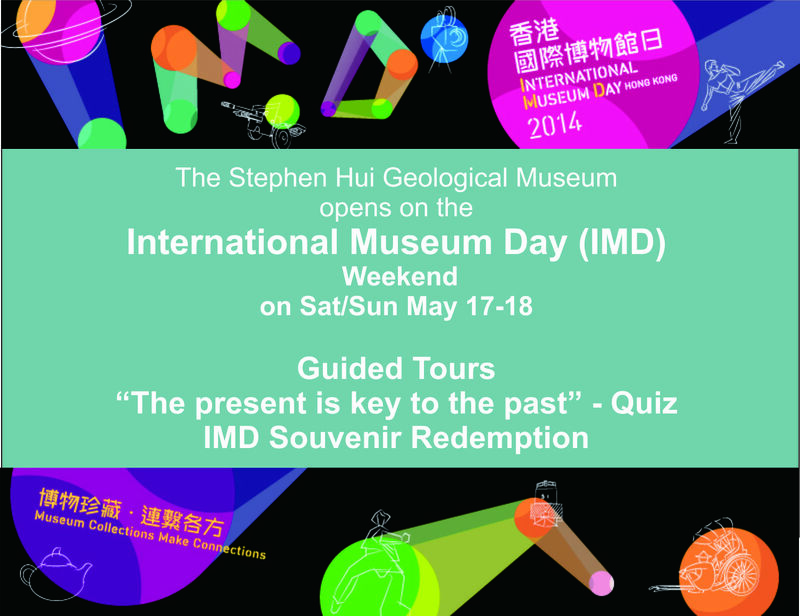 The Stephen Hui Geological Museum (including the "Magic Globe") is open to public on the International Museum Day 2010 weekend of Saturday, May 15 and Sunday, May 16, 2010 from 10am to 6pm. We offer guided museum tours for maximum 30 persons on both days at 1pm and 4pm. In 1978, the International Council of Museums (ICOM) designated 18 May as International Museum Day (IMD) every year. 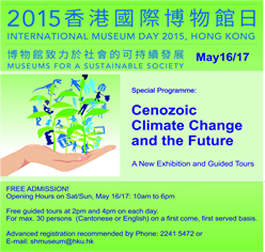 To promote the activities and services provided by museums in Hong Kong as well as to interact with people of all ranks in society, the Leisure and Cultural Services Department (LCSD) has been celebrating the occasion in mid-May every year since 2001 which also helps to arouse the public's awareness on the functions and missions of the museums in society. "Museums for Social Harmony" is the theme for this year's International Museum Day. We encourage different parties to visit museums to foster goodwill spirit and enhance peaceful coexistence, which will help to build a harmonious society. There will be free public admission to all local participating venues on 15-16 May 2010, over the IMD weekend. In addition, educational and entertaining programmes will be held at different museums during these two days. Come and join the fun! For details of IMD 2010, Hong Kong, please refer to the announcements made by individual museums and visit the website of Hong Kong Museum of Art http://hk.art.museum for the list of participating museums. 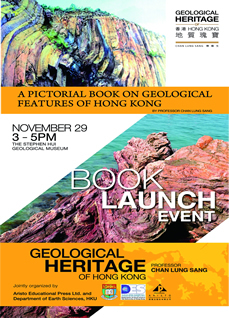 This meeting is hosted by the Stephen Hui Geological Museum and its curator, Dr Petra Bach. All are welcome. There is no charge, and no registration is necessary. Just come along and meet the mineral collectors. The lobby of the Stephen Hui Geological Museum, James Lee Science Building, Main Campus, University of Hong Kong (opposite the bookshop). George Liu is the acknowledged world authority on Chinese minerals, and he will talk about mineral collecting in China. Steve Smale will share some reminiscences about the Smale Collection, which is one of the finest private mineral collections in existence. 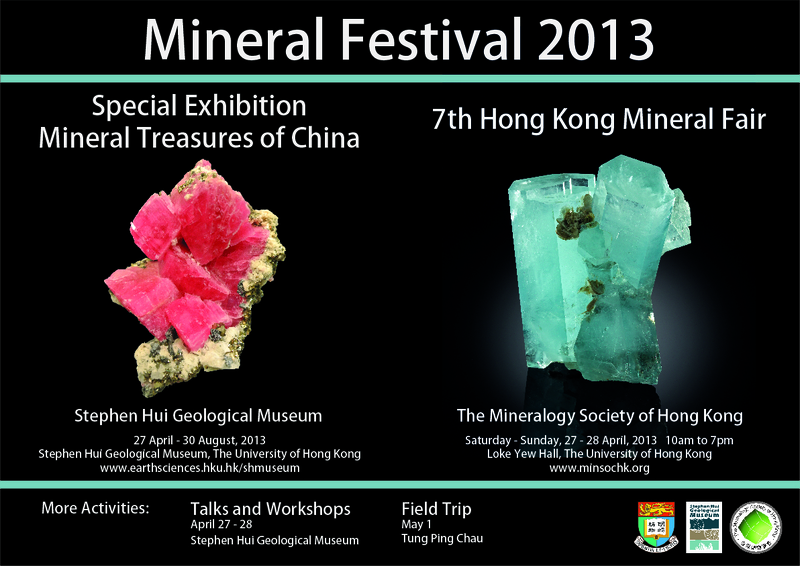 Stephen Hui Geological Museum participates in the Fourth Hong Kong Mineral Fair organized by the Mineralogical Society of Hong Kong. 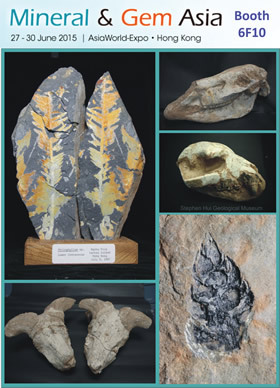 A meeting place for buyers, sellers, enthusiasts and newcomers to the world of minerals and fossils, featuring mineral specimens, books, equipment, fossils, rough and polished stones, some for sale and some just to look at. conveniently close to the Wanchai MTR station, exit C.
Lectures will be held during period of 17 May 09 to 12 Dec 09. 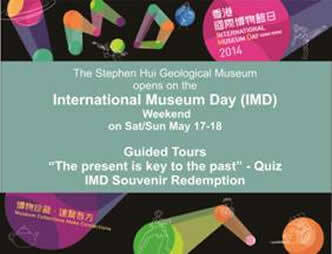 Stephen Hui Geological Museum guided tours will be arranged on 20 June 09, 18 July 09 & 15 August 09. 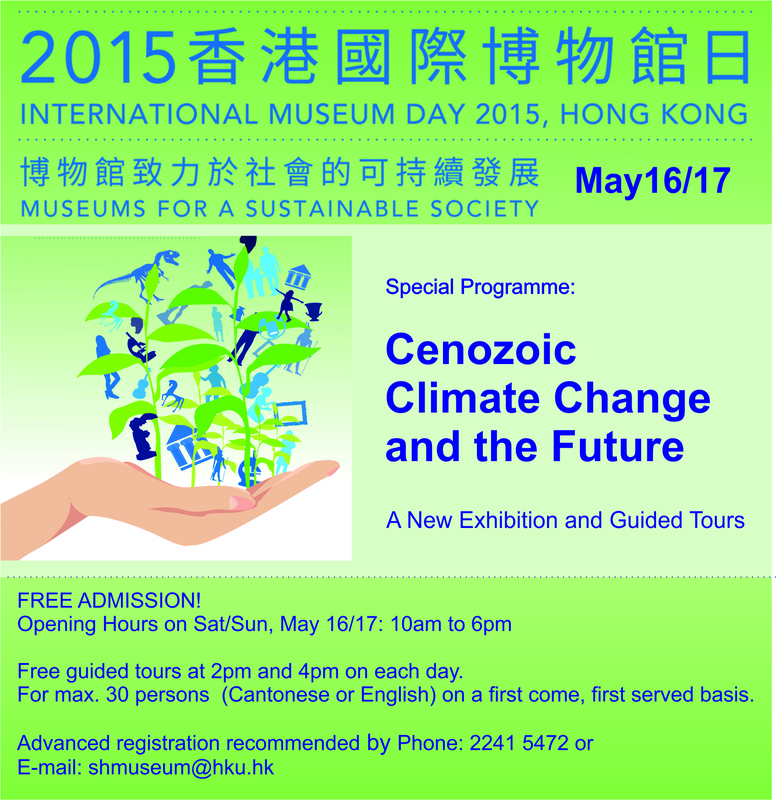 For details and registration method, please visit http://hk.science.museum.